Have you been charged with a crime in the Fresno area? Are you looking to obtain compensation after an accident? If so, you need to retain the representation of an experienced attorney as soon as possible. At my firm, the Law Office of Gerald Schwab, Jr., I am proud to provide trusted representation to clients throughout the area, and I can work diligently to protect your rights and freedoms. I have numerous awards and recognitions that stand as a testament to the work I do to help protect my clients' interests, and I may be able to help you, too. As a former probation officer, I can bring a unique understanding of the law to the forefront of your case and help protect your rights throughout the course of your legal proceedings. 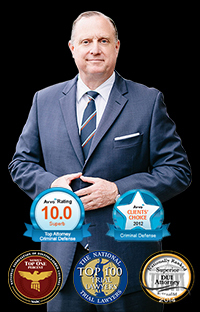 To learn more about the Law Office of Gerald Schwab, Jr. and how working with a trusted attorney can make all the difference in the outcome of your case, contact my firm today.